1 Can you identity this duck photographed at Dapdune Warf Guildford. I cannot identify it through any of the limited books I have or online. 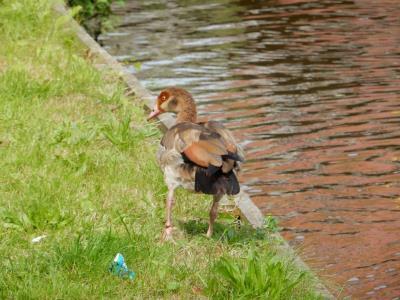 This could be an Egyptian goose. 6 Would agree with Steve, Egypton Goose.